2018 Sunday Times Winner of the “Best Place to Live in the UK” is York! York is a unique city that balances 2,000 years of history, making it a beautiful fascinating place, with the best in tomorrow’s technology and independent businesses making it a perfect city to live in. The Minster and the Jorvik Viking Centre offer insight into the city’s past, whilst high speed transport links to London and beyond, as well as being the UK’s first “Gigabit City”, mean York is one of the most connected cities in the UK. It is no wonder then, that this year’s Sunday Times Winner of the Best Place to Live in the UK, is York. The Sunday Times decides its winner every year based on several parameters including school league tables, crime rates and house prices as well as how good the area is regarding culture, transport and community spirit. 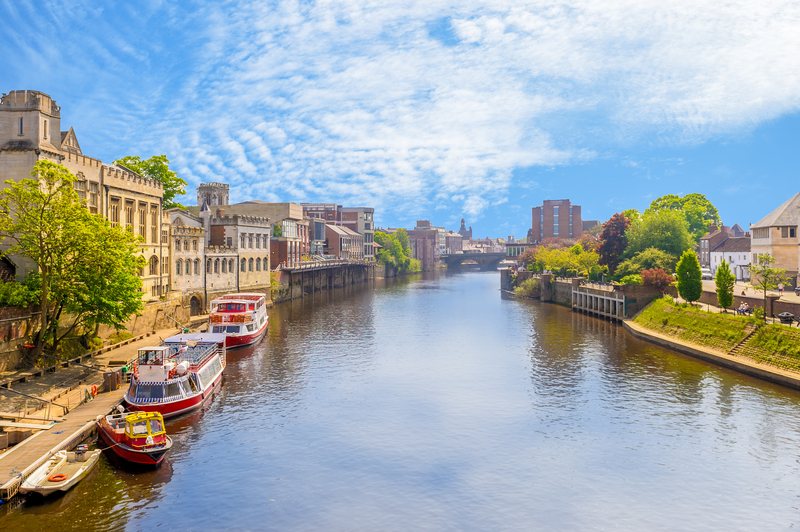 York always seems to appear in every type of list that awards Britain’s most habitable areas, and its key features will ensure the city is one of the country’s most desirable locations for years to come. In recent years, York’s cultural scene has exploded with brand new microbreweries, music venues and bars popping up across the city. Despite this though, York holds onto its heritage and historic past making it both a hotbed for tourists and those looking to move to a new house in both the UK and abroad. With two universities the city is a vibrant hub for thousands of young people who relocate to York every year; this doesn’t mean however York isn’t a multi-generational city and there is something for every age and background in the area. York truly has something for everyone and is a popular place for renters, first time buyers, investors and those looking to up or down size their home. With distinct and individual areas across the city, you can be sure to find something that suits your requirements in York. All the signs, when it comes to the property market are positive for all parties and as we enter spring, York is a beautiful city to visit or find your forever home. If you are interested in the York area, please contact yorkresidential@hunters.com for sales enquiries or yorklettings@hunters.com for lettings enquiries.